Not every marriage proposal goes as planned. Not every marriage proposal goes as planned. Loy A. Webb’s The Light introduces us to Rashad and Genesis on what should be one of the happiest days of their lives, but their joy quickly unravels when ground-shifting accusations from the past resurface in this gripping two character drama. Can their relationship survive the growing divide between them over who–and what–to believe? Directed by LOGAN VAUGHN, The Light is a reckoning that unfolds in real-time and peels away the layers of truth, doubt, pain, and ultimately the power of love. Every performance day, on a first-come, first-served basis, a limited number of $30 mobile Rush tickets for "The Light" will be made available. To unlock this feature, MCC Theater simply requests that you spread the word on social media through the TodayTix app. Company may offer programs whereby the Company would make available certain features of the Services when you share information about the Services through an SNS or click on the “Unlock without sharing” button in the Application. 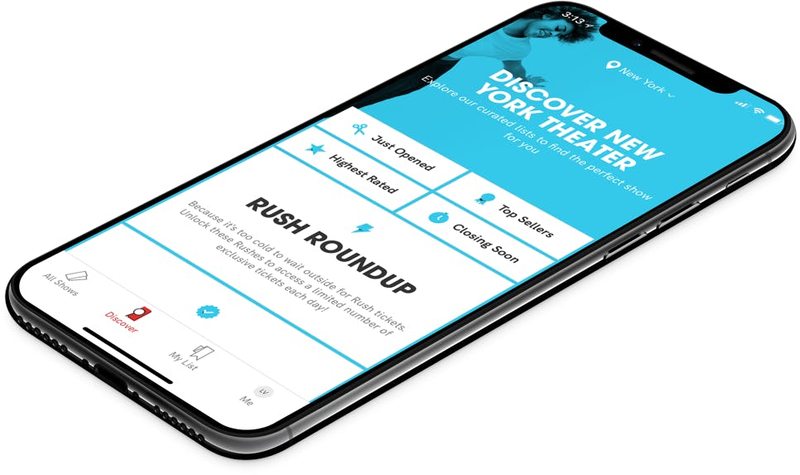 When you are considering purchasing a ticket for a specific show or after you purchase a ticket, if you select the “Share” button in the Application, Company will make available to you a personalized link to a Digital Property with text stating, for example, “Check out The Light on TodayTix! I’m thinking of going…” or something similar, which you may choose to share with your friends via SNS. Once you have shared the personalized link through an SNS using the Application or selected the “Unlock without sharing” button in the Application, Company will make available to you the RUSH feature, which will provide you with otherwise unavailable offers for tickets to live events occurring in the next week. The opportunity to take advantage of these offers is only available to users who share a personalized link to an SNS through the Application or select the “Unlock without sharing” button in the Application.